An interesting question came up in our small group discussion Monday night: how can we influence our culture? This is known as The Influence Principle. We want to be part of a movement leading the way to true revival. While there are many effective ways to influence the culture around us, the most significant way for me right now is through our family. Early on in our marriage, I had a terrible fear that was actually quite rational. I was afraid I would get pregnant! I felt so inadequate and certain I would be a terrible mother. I felt clumsy and awkward around babies and little kids and although I knew I should want to be a mom, I was terrified. I hoped someday I would be “ready” but that day wasn’t in sight. Yet I was reading passages like …Sons are a heritage from the Lord, children a reward from Him. Like arrows in the hands of a warrior are sons born in one’s youth. Blessed is the man whose quiver is full of them. They will not be put to shame when they contend with their enemies in the gate (Psalm 127). Confronted with God’s truth, we stepped out in faith and said, “Yes!” to the blessing of children. We have since been blessed with six children. Each pregnancy required a new level of faith and obstacles to overcome. We had three miscarriages—especially difficult times of mourning the loss of life right after we embraced it. And we didn’t set out to have that many children! I’m the type of person who needs to take things one step at a time, and knowing we would have six would have totally overwhelmed me if I had known ahead of time. Most people now look at us, stop and count our kids, ask if they are all mine, and comment on the fact that we only have one son. I usually don’t mind at all and look at it as an opportunity to speak words of life over the vocation of motherhood and the blessing of children. It was when we packed up to leave the beach one day that I knew we are influencing our culture through our children. Someone thoughtfully left a condom for me on my diaper bag, as if to say, “Don’t you know you can do something about this?” After I recovered from the shock of it, I recognized the flurry of lies so prevalent in our culture today. The earth is not overpopulated. We are not running out of resources. The world will end when every nation, tribe, and tongue has heard the gospel, NOT before, no matter what the global warming alarmists preach. God has given us a mandate to raise up a righteous generation, to be fruitful and multiply, and to pass on the knowledge of His glory and goodness to the next generation. We are missionaries in South Africa where it is uncommon to see families with more than two children. 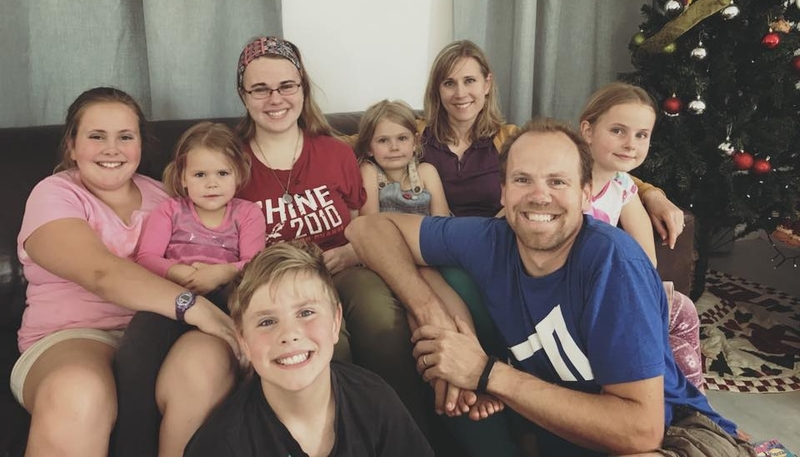 With our six we are influencing the culture around us—not only in Africa, but also in the culture of world missions where missionaries are often discouraged from having larger families. It certainly isn’t practical, requires additional funding, and takes precious time away from “ministry.” However, we have come to see our children as our first and most important ministry. After 13 years in ministry, our most fruitful and life-giving ministry has not been our preaching, teaching, counseling, service projects, friendship evangelism, or short-term outreaches. Instead, more lives have been changed, influenced, healed, and ministered to through time spent in close fellowship with our family than through any other means. People observe, learn, and are healed through the dynamics of a godly marriage and intentional parenting. Families—husband, wives, and children walking in submission to the cross—are shaking the earth and opening the way for true revival in the brokenness of the nations.